Want a guilt-free way to indulge yourself with food while exercising? Snowshoeing is one of the best forms of aerobic exercise but if you go on a “Gourmet Snowshoe Tour” on your snowshoes or cross-country skis, you may very well eat your way to fitness at a number of trailside food stops. What a grand time so go ahead, eat, snowshoe, and be merry – appetizers, wine, champagne, fondue, entrees, desserts, and more. Here’s a cross-section of the culinary snowshoe and cross-country ski events that are planned this winter across the country with a varied menu of fun and fine cuisine. Smugglers Notch in Vermont has Sweets and Snowshoes every Wednesday night 7-9 pm for adults only. Hot cocoa, coffee, and three desserts await snowshoers after a 30-minute trek to a pavilion and campfire. A warming meal of hot soup, bread and beverage at a trailside cabin is a destination for the Soup and Snowshoes guided trek mid-day on Tuesdays, Thursdays and Saturdays, and on Tuesday nights there’s a Snowshoe Adventure Dinner at the mountain summit. Eastman Cross Country’s Nordic Nibbles in Grantham, N.H. on January 19 has a Scandinavian theme with a visit to a fire pit at each stop for cheese from a local smokehouse, Lindt chocolate, gingerbread cake and pastries, local dairy milk for hot coco, soup, and the main meal from 11 am – 1 pm. The Sweetheart’s Chocolate Tour at Bretton Woods on February 16 with a self-guided tour to stops for sweets from 10 am – 4 pm. 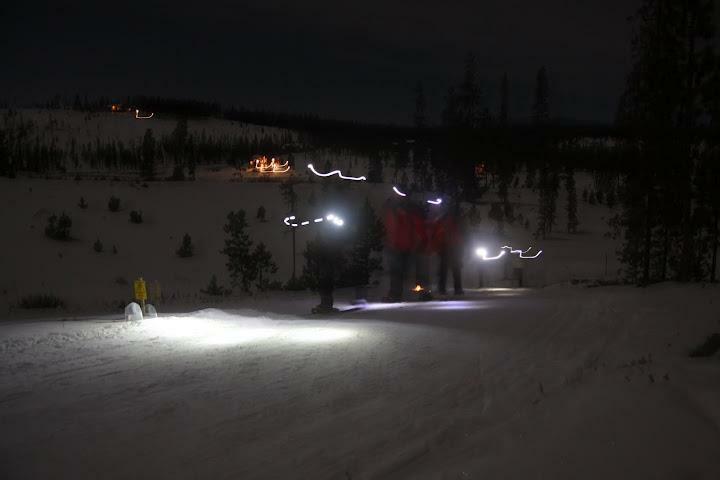 And enjoy the Sweetheart’s Ski or Snowshoe Tour by candlelight at 7-8 pm that evening. The Upper Peninsula of Michigan in Ironwood features cuisine from local restaurants that can be purchased at a nominal fee along a designated route along the trails at the Taste of the Trails on the ABR trails on March 1 at 11 am – 2 pm. 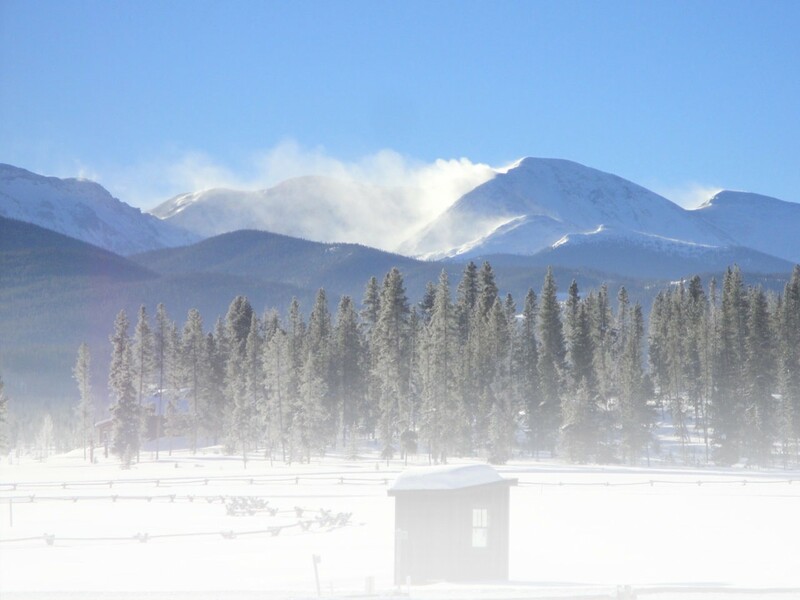 Snow Mountain Ranch in Granby, Colo. hosts the GrandHuts.org Progressive Dinner on Feb. 15 with a multi-course meal at outposts along the trail in a fundraiser for the huts. Crested Butte Nordic Center has a yurt reached by a 2K tour where 10 gourmet dinners are offered during the winter including the Full Moon Dinners @ the Yurt and the Valentine’s Dinner. Look to the Galena Lodge in Ketchum, Idaho for the Full Moon Dinners on nights associated with the full moon, whereby you can go snowshoe or ski (half price rental gear offered) and then return to lodge for a four-course dinner at $40 or half price for kids under 12. There are also special Wine Dinners, Holiday Dinners, and a Valentine’s Day Dinner. Lone Mountain Ranch in Big Sky, Mont. has the Glide & Gorge event on March 9 from 1-3 pm with trail luncheon stationed with appetizers, soups, entrees, desserts from the Ranch’s four-star kitchen, local brew, wine, music and shuttles. There’s also a trailside one-stop buffet every Friday that can be reached on foot, snowshoes, or skis located so that one can either begin or finish their outing with the feast. Cypress Mountain outside of Vancouver, B.C. has Chocolate Fondue Tours on Friday and Sunday nights starting at 6:30 pm and the Cheese & Chocolate Fondue Tour on Fridays and Sundays at 6 – 10 pm. Tours are organized by pre-registration. 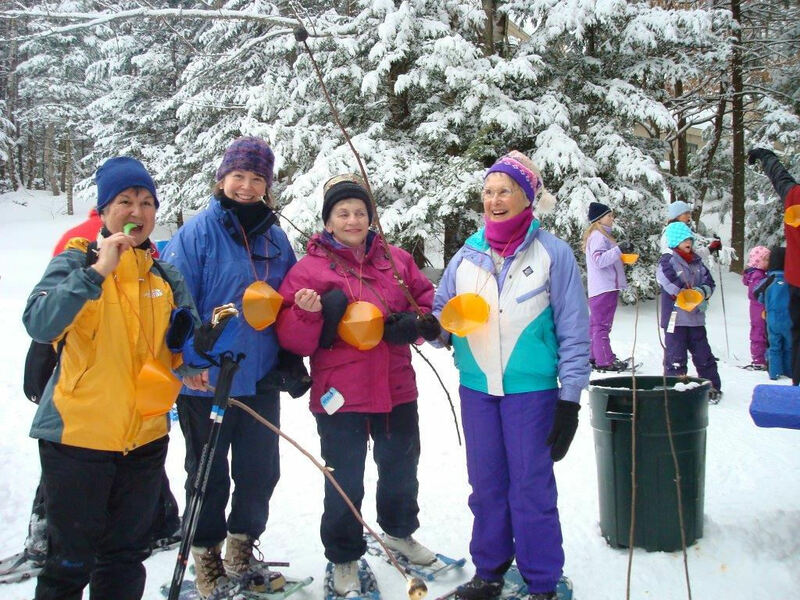 Ladies Only Chocolate Fondue Snowshoe Tour on Jan. 10, 24, Feb. 7, 28, and March 14 at 6:30 pm. 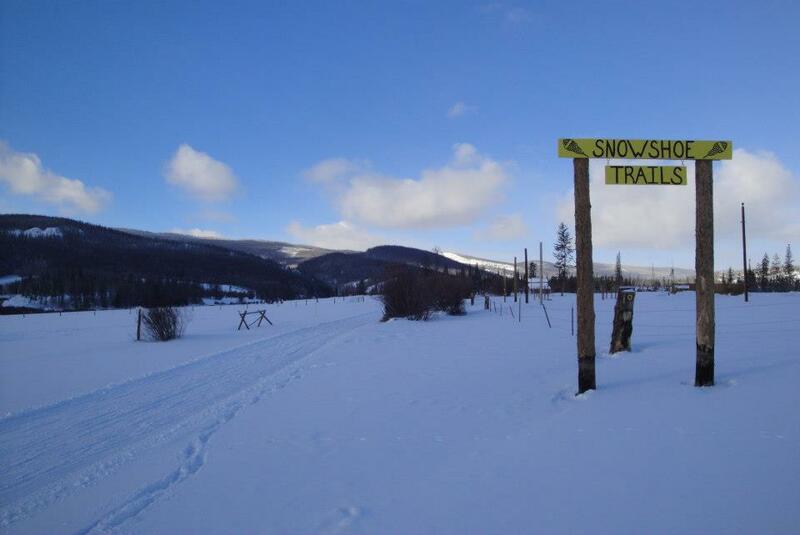 This entry was posted in Destinations, Events, Features, Homepage Featured, News by Roger Lohr, XCSkiResorts.com. Bookmark the permalink. Roger Lohr lives in Lebanon, NH and has published content about snowshoeing, XC skiing, sustainability and more. He loves to cross country ski and snowshoe on trails and in the backcountry, and snowboarding in powder. He owns and edits XCSkiResorts.com and is the cross country skiing and snowshoe editor at SeniorsSkiing.com and SnoCountry.com. He also is the Outdoor Recreation Editor at Green Energy Times and contributes to many other media outlets. Sun Dog Athletics “Aspen’s Adventure Sports School” and snowshoeing specialists since 1996 offers Gourmet Snowshoeing Adventures, with spectacular powder ‘shoeing and mountain view and finishing with the ultimate reward; a gourmet meal at Krabloonik Restaurant in Snowmass; known for their wild game from around the world and award-winning wine list or at the Sundeck at the summit of Aspen Mt. after snowshoeing Richmond Ridge (11,500ft). This is the perfect combo and a real treat in the high mountains around Aspen!